Summer is the time of the year when you can experiment with colors. It is the perfect season to get creative and rock some bold shades and prints. 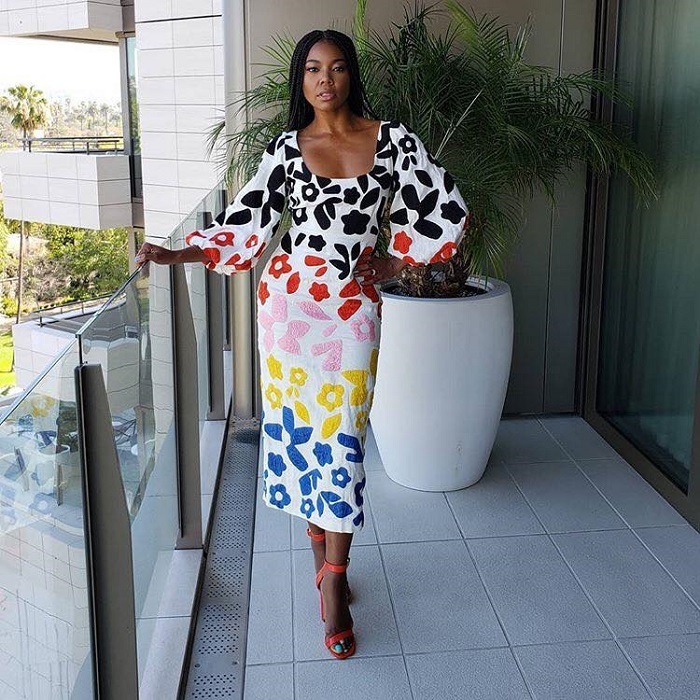 Florals, stripes, polka dots are super-cool this season, and celebrities are here to prove that. Check out their trendiest looks, you can easily copy. Gabrielle pulled off the perfect fancy summer outfit. The actress wears a gorgeous colorful dress with a revealing neckline and flirty sleeves.